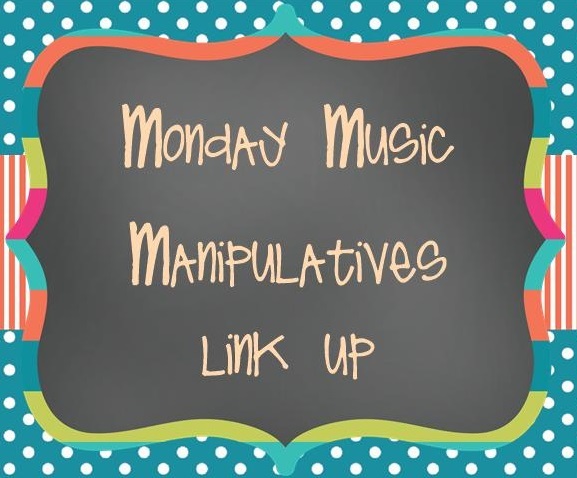 Hello, I am hosting another Monday Music Manipulatives Link Up where you can see some wonderful manipulative ideas by my friend and guest blogger, Jody, as well as link up or find other music teachers who have linked up to get even more ideas. Hi there. 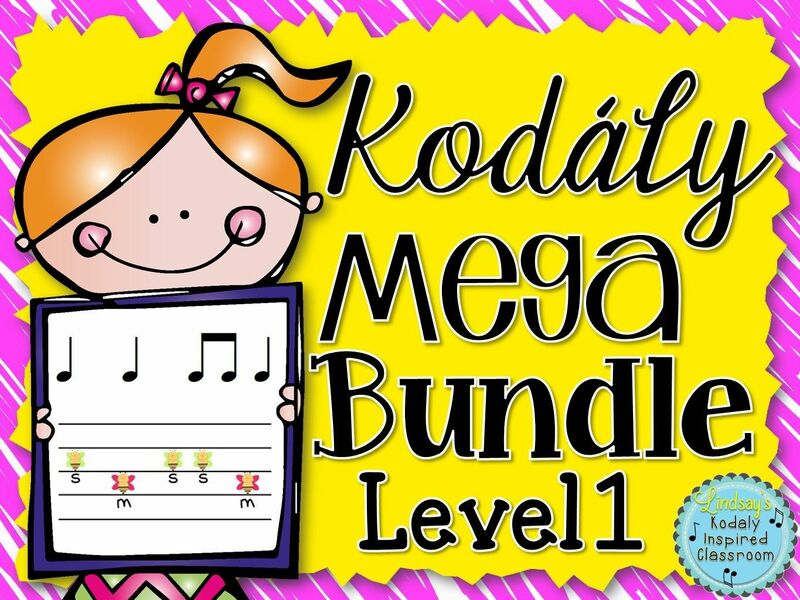 My name is Jody Scott and I teach K through 5th music in Wichita, Kansas. 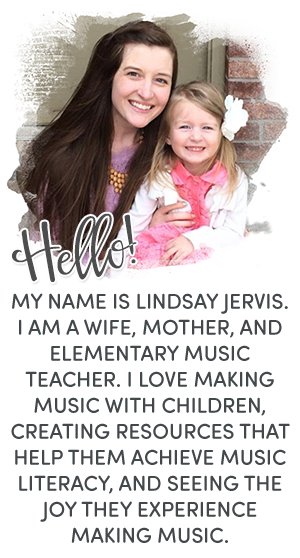 Lindsay asked me to guest blog this week about manipulatives I use in my classroom. It was a crazy Valentine’s week, but I did manage to get some photos of things that I used with my kids. Here are some of my favorite manipulatives, ones that I use on a regular basis. At the beginning of the school year I picked up these reusable dry erase pockets. You can find them here. They have been so useful because I can put any worksheet or visual inside and the kids can use it over and over. They erase like a dream and stay so clean. We have used them a lot and they still look new. 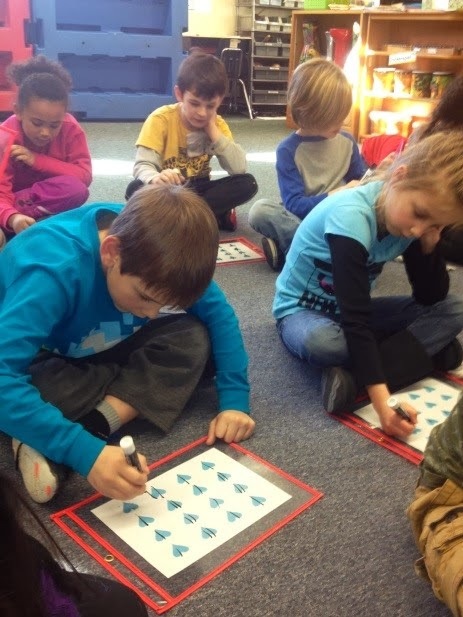 Here you can see my first graders working on one and two sounds to a beat. A few years ago I made these heartbeat charts. I have gotten so much use out of these! 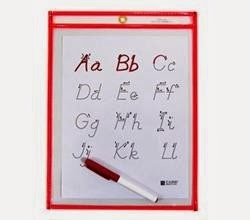 Since they are laminated, we can write on them with dry erase markers, put small manipulatives or erasers in them and write with Popsicle sticks. I found the little Popsicle sticks at a craft store and they fit perfectly in the hearts. Here are my 3rd grade students practicing sixteenth note writing and my first grade students practicing one and two sounds to a beat. During the school day, I always have a blank page open on my Smart Board. 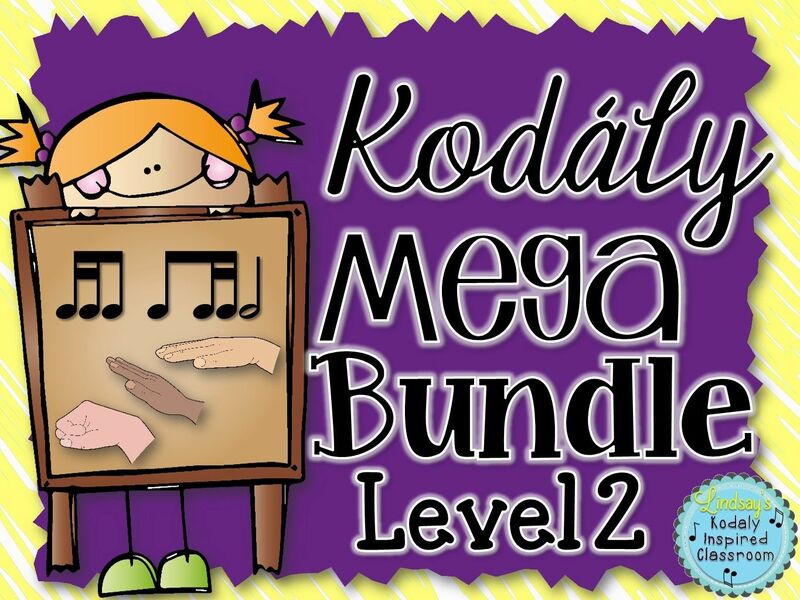 I use it to show iconic representation of rhythm and pitch with about every grade level. 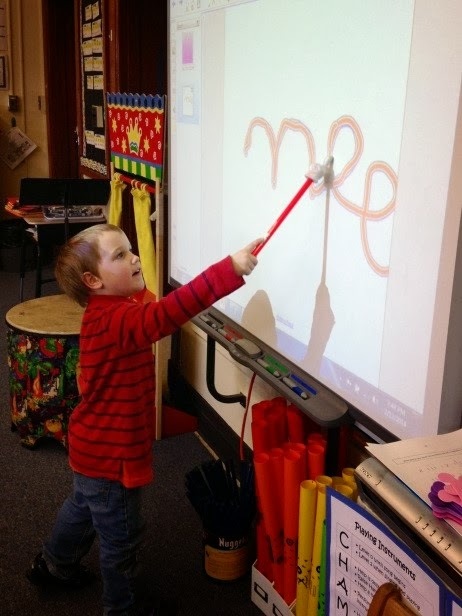 One of my kindergarten favorites is to do vocal exploration with all the creative pens. Some of the pen options are rainbow, smiley faces, and snowflakes. Of course they love to make their own vocal exploration and individually show the class how to do it (Great for assessment!). This week I gave each of them a chenille stick (pipe cleaner) right after we did this activity at the Smart Board. They made their own roller coasters and of course got very creative. I was excited to hear them individually this week because their voices are really starting to match the visual representations they are making! My first and second grade students get a lot of use out of these little packets I made a couple of years ago. I picked up a bunch of math counters at our instructional support center and cut ribbons to help the kids practice beginning staff writing. I have used a one line and two line staff with them. I like to do it this way before I move to paper writing. It really keeps the attention of the students better than paper writing and I can walk around and give immediate feedback about “on a line” or “in a space.” We practice putting the finger spaces in and putting the eighth notes close together. Then we point to them as we sing the song fragment we are writing. I can see so quickly who is getting it and who needs help. Foam shapes are a staple for me in my classroom. You can find all kinds of shapes at any craft store. I love them because I don’t have to laminate a thing and they last forever. I can just write on them or cut them up and go. This week, we used these crowns shapes to figure out how to write “Queen Queen Caroline.” I am moving from pictures to stick notation with first grade, so I added sticks for one and two sounds. 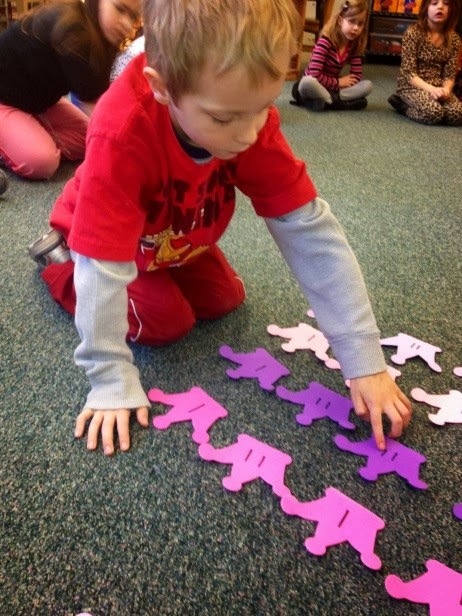 I was able to make four sets and, after we did an example as a class, the kids worked on the “puzzle” in small groups. 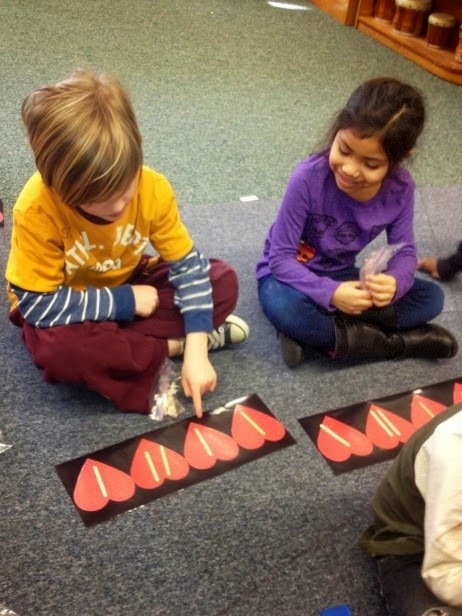 Another fast and easy manipulative make and use are envelopes with rhythms in them. I don’t always have time to print and laminate the cards I want the kids to read, so I cut up sentence strips with the rhythms of the song we are using and put them in an envelope. I usually make 4 or more options so we hear a variety of rhythms. Since this past week was Valentine’s Day, we used these cute little felt envelopes I found at Walmart. The game is simple and can go with so many Valentine’s and non-Valentine’s songs. The student or teacher walks around the outside of the circle while the song is being sung and delivers the letter. 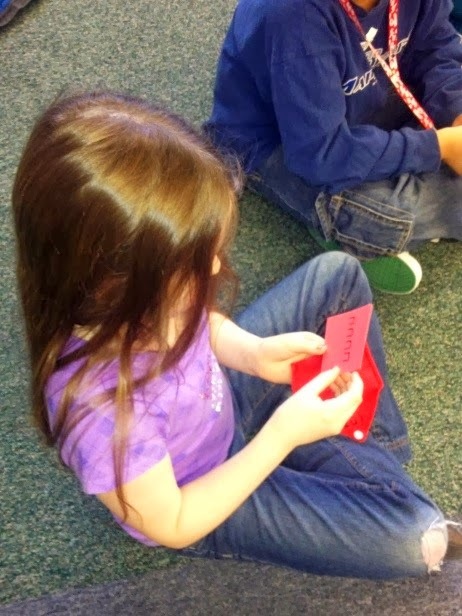 My 4th and 5th grade classes played the game with “I Got A Letter” and the 2nd grade classes played with “Messenger, Messenger.” The envelope game is always a hit and a super easy way to assess. 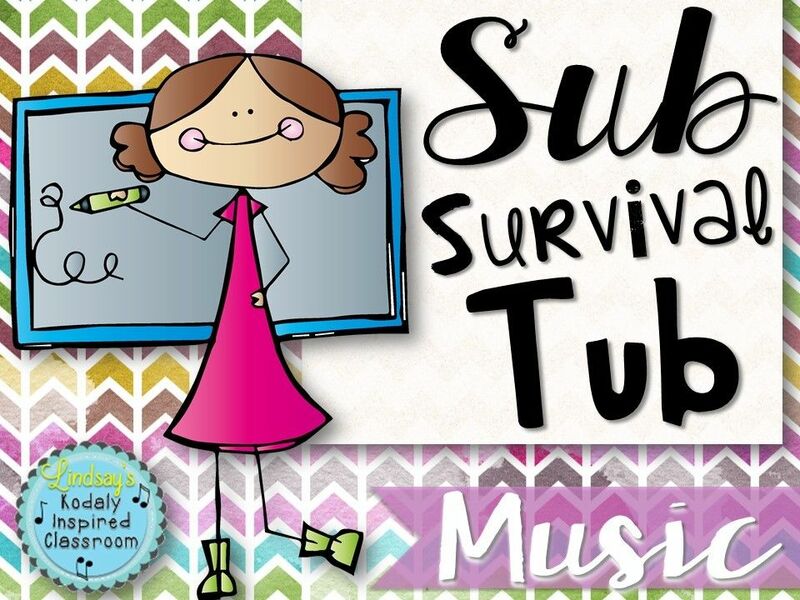 1) Write a blog post about a few of the manipulatives that you use in your music room. 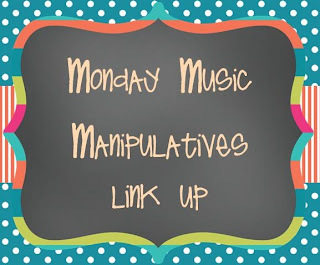 Include the "Monday Music Manipulatives" image from the top of this post and link it back to my blog post. 3) That's it! Easy peasy! A big thanks to Jody for this lovely post! 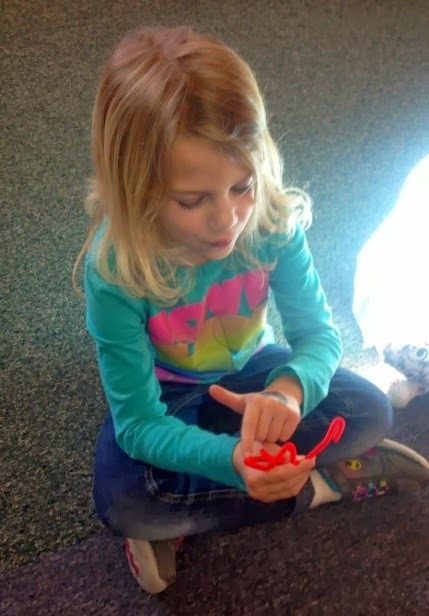 Did you find a new manipulative that you want to make or already LOVE using in this post? Let Jody know by leaving a comment below! WOW! Such great ideas! I love them all! Where did you get those dry erase cover sheets? I use page protectors but it is hard to keep them clean. It looks like the link isn't attached! I would love to buy some of the ones shown here! Jody, how many of those pocket things did you buy? Did your school purchase them? I purchased 30 of the dry erase pockets for my classroom. Its a good thing I did because I have 28 students in my first grade classrooms this year! I have a budget for classroom supplies each year so I used some of that money to purchase them. 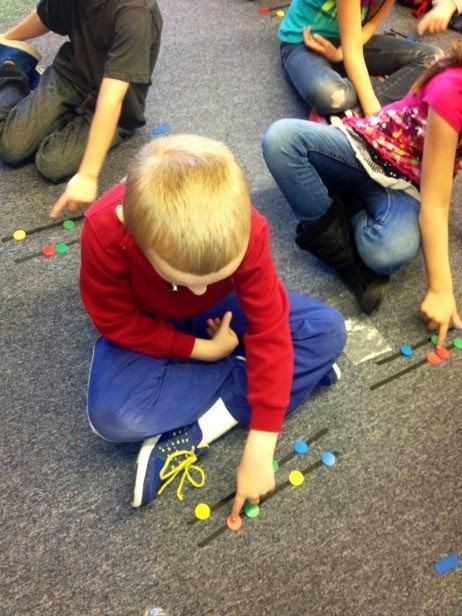 I love the idea of using the heart beats with the popsicle sticks! I have a few students who have trouble remembering to write left to right when doing popsicle stick notation and not up and down. 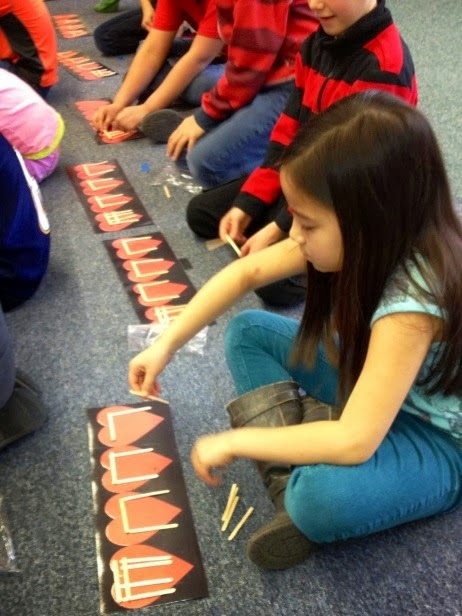 This idea would not only encourage them to write horizontally but it also reinforces the number of sounds per beat! Might also have to check out the dry erase pockets as my page protectors are starting to get a bit worn. Great post! I loved those ideas too! Those big heart beat charts have been on my "to do" list for quite some time! I was trying to find a link to Jody's blog, but can't anywhere. I really like the idea of these heart beat cards and wanted to see how she made them / the sizes of them, etc. Is there anyway you can link me up? Also, I have a random question. I teach in a temporary outside of the school building and I do not have a rug. 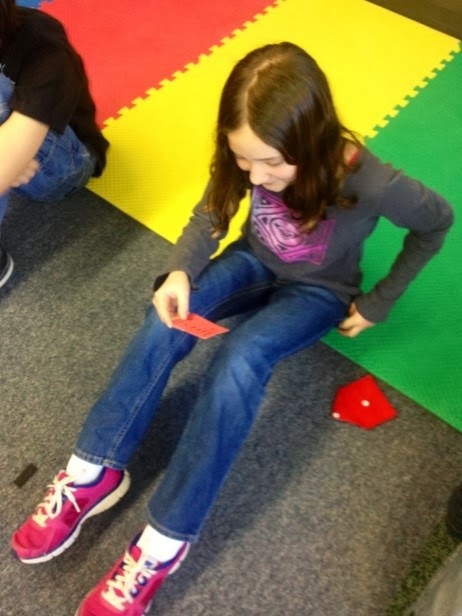 I really liked manipulatives, but feel bad putting my students on the floor. Do you have any recommendations? You guys are so creative, I figured it was worth asking! Everyone enjoys some sort of music, be it from events like weddings or graduation ceremonies and presidential inaugurations.